There were people out in the lake everyday swimming and water-skiing. I spent a lot of time "people watching" with Dan's telescope. See that tiny "blip" way out there on the lake? There were people out in the lake everyday swimming and water-skiing. 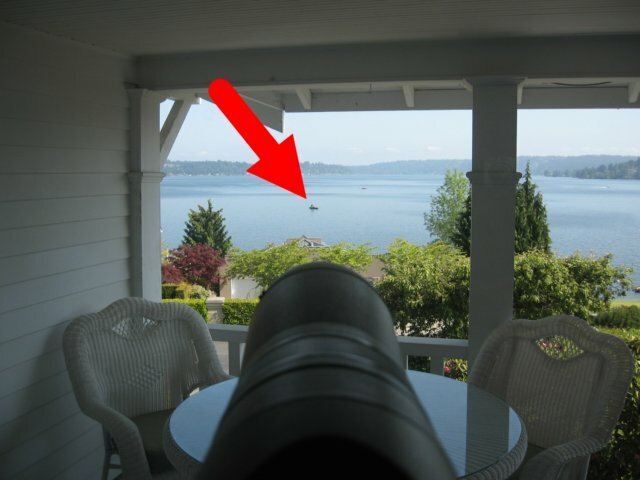 I spent a lot of time "people watching" with Dan's telescope. See that tiny "blip" way out there on the lake?